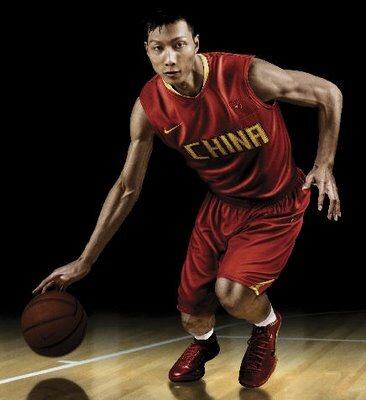 The Chinese NBA player Yi Jianlian, who played for the Washington Wizards in the past season will return to China and rejoin his former team Guangdong Hongyuan Southern Tigers of the Chinese Basketball Association. The Tigers officially confirmed the news on Saturday night. Liu Hongjiang, the general manager of Guangdong Hongyuan told Xinhua that “Yi has signed a one-season contract with Hongyuan with an option to leave once the NBA lock-out ends and he accepts an invitation from an NBA team”. Earlier in this August, the Chinese Basketball Association announced that it would not allow NBA foreign players to “opt-out” of their respective contracts with CBA teams in the event that there is a resolution to the current lockout situation. But since Yi is from China, not a foreign player, therefore that CBA restriction does not apply to him, which means the inclusion of an opt-out clause is available to him. During 2002-2007, Yi has spent five seasons with Guangdong. In 2003, Yi was featured in TIME magazine’s August 24, 2003 article titled “The Next Yao Ming”. In each of his next three seasons, Yi led Guangdong to the CBA championship, and he was awarded the Finals Most Valuable Player (MVP) honor in 2006. In Yi’s last season in the CBA, he averaged a career best 24.9 points and 11.5 rebounds per game. The Wizards had until June 30 to extend a qualifying offer to Yi but did not. As a result, Yi became an unrestricted free agent. Some NBA teams were reportedly interested in him, but the lockout convinced him to return, according to China Daily. Yi was awarded MVP at last month’s FIBA Asian Championship and many expect him to land a new offer once the NBA labor dispute settle down.